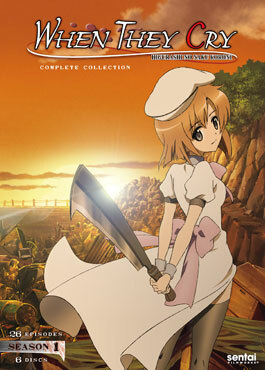 Summer is coming early to Sentai Filmworks... kind of! 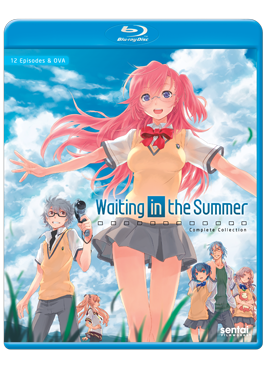 Today marks the official Blu-Ray release of the science-fiction romance Waiting in the Summer. However, if a Rom-Com about a red haired alien sweetheart isn't to your liking, we also have the release of the much anticipated drama When They Cry. 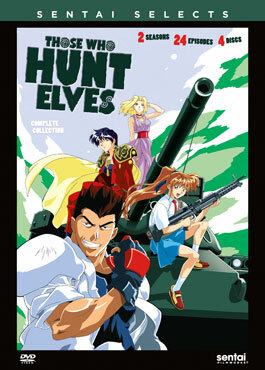 Lastly, if you value your fingernails, we have the release of Sentai Selects title Those Who Hunt Elves! Tales of traveling to alternate dimensions are fun to watch in the movies, but when you get stuck in one yourself, it's not quite as much fun. So when strongman Junpei, actress Airi, and teenage gun fanatic Ritsuko find themselves transported to a world populated by elves and other mystical beings, all they want to do is go home. Unfortunately, after putting their trust in the scatterbrained sorceress Celcia, the spell to send them back to Earth ends up getting scattered to the winds, with different parts attaching themselves to the bodies of Elves all across the planet. Now the only way to put it back together is to travel around the world, convincing elves to take off all their clothes for a "spell check"! Fortunately, the team also has access to a T-74 tank, so it's time for the weirdest road trip ever. Warning! There are naked elves ahead as the ultimate fanboy fantasy is launched in THOSE WHO HUNT ELVES! When a group of friends decide to make a movie over a long summer holiday, they end up learning a little about filmmaking and a lot more about each other and themselves. What begins as a simple way to avoid the summer doldrums quickly turns into something much more complex, intimate, and downright revealing. As the summer heats up, so do the maturing relationships between the young cast members, taking some new, and sometimes unexpected, turns. Get ready for a whole new look at summer romance as hidden emotions get captured and secrets meant to be kept hidden inside young hearts instead spill off the screen for your viewing pleasure in WAITING IN THE SUMMER! Moving to the picturesque town of Hinamizawa is going to be a big adjustment for Keiichi. For all its beauty, it's also tiny… so small that there's only one school, one where most of the students have known each other all their lives. Fortunately, he soon meets four girls… Rena, Mion, Satoko, and Rika, who're willing to let the new guy in town join their afterschool club. And for a while, things seem wonderful. 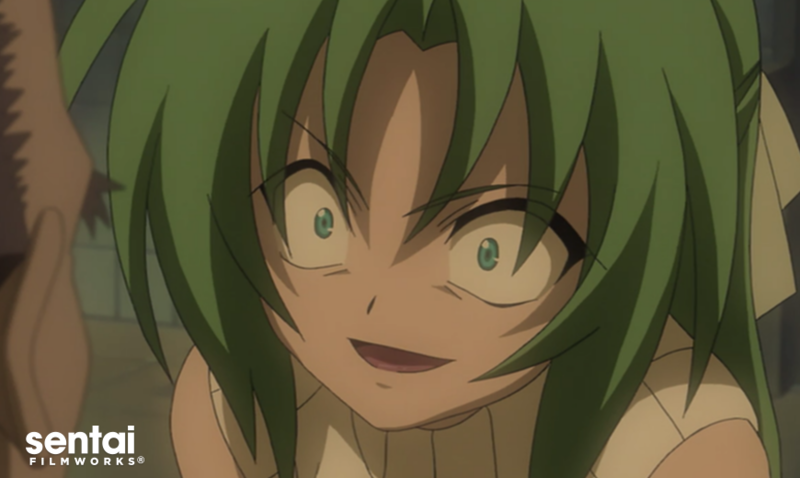 Until Keiichi starts discovering strange things, like the project manager for a controversial dam project being found dismembered five years ago. As he digs deeper, there are whispers and rumors of other murders and disappearances, stories of a town curse, and mysterious rituals. And then people he knows start to die. What secrets have the people of Hinamizawa kept hidden from the rest of the world? And could his new friends somehow be involved? The shocking answers will be revealed WHEN THEY CRY! There's a lot happening this Tuesday! Which adventure is coming home with you today?